We recently had the Fuzzykins Cats to review and Lexie loved colouring them in and making them her own. We had the chance to review the Dozy Dogs and these have been Lexie's favourite so far. 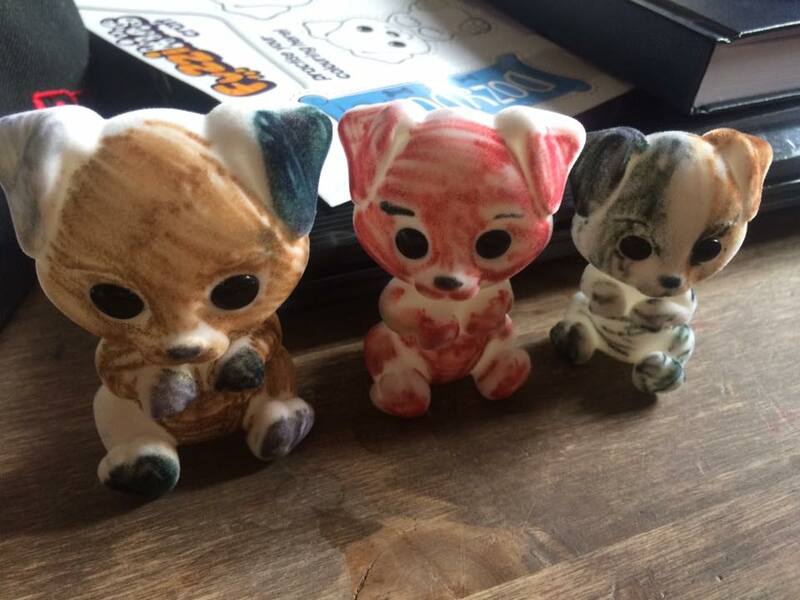 In the set you get three different sized Dogs, ( large, medium & small) and three felts to customise the dogs. Design and create different patterns on your new Dogs. Included in the pack are some felt beds which you just slot in together, these are a bit fiddly to put together and I had to help Lexie with this part of the task. There is a lolly pop stick to help you push the ends though for easier assembly. In the pack are sticky sided self adhesive shapes including bones and hearts which you can use to decorate the beds, capes or the little night masks for your new friends. The box also doubles up as a practice colouring in sheet too, so you can plan your designs before colouring your blank Dogs in. Perfect for crafty children this Christmas.